Greg Pace has been involved in the fitness and sports industry for 40 years, has finished several Ironman triathlons and is the owner of PACEperformance. 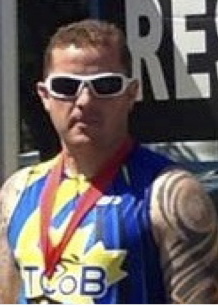 He has a Bachelor of Kinesiology from McMaster University, is a founding member and past President of Triathlon Ontario and is the co-founder of Kids of Steel triathlons. 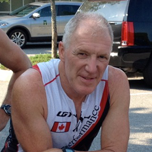 Greg has worked with beginner to advanced triathletes for 20 years as the Director of the triathlon program at Olympia Sports Camp and is a former triathlon coach for the Hammerheads youth club and Golden Horseshoe Aquatic Club. He is a past recipient of Burlington Sports Person of the Year and Burlington Civic Recognition awards. Greg is also a certified triathlon coach with the National Coaching Certification Program, certified FIST Triathlon and Road Bike Fitter and a certified Professional Fitness and Lifestyle Trainer. He organizes the Moon in June Road Race each year in Burlington. Robin Barker has been a triathlon competitor for the past 12 years completing multiple Ironman races, countless short course events and a myriad of runs. 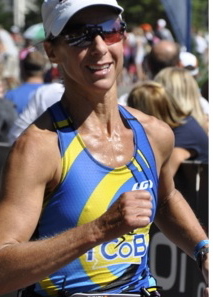 Robin Placed 3rd overall woman in the 2012 Buffalo Marathon, and has rarely finished off the podium in any event. 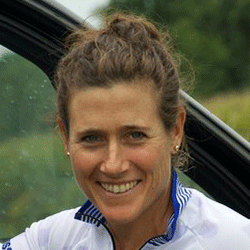 She is a Personal Trainer and certified coach of all disciplines in triathlon; she is a run/gait specialist. Margaret Dorio has been involved with triathlon for over 12 years. In that time, she has completed over 50 triathlons ranging from sprint to IronMan, including a world championship race for the Olympic distance, and the IM world championships in Kona. She is a certified community NCCP triathlon coach, has a Bachelor of Kinesiology from McMaster University, Bachelor of Education from University of Toronto and is currently the past-president of the Triathlon Club of Burlington. Margaret has a passion for the sport of triathlon and a desire to share that energy with other athletes. Rob Perry has been a very active member of the TCoB for the past 5 years. Rob is currently the Vice President of the Club and has completed his National Coaching Certification in Community Triathlon Training. His passion for cycling is evident in his knowledge and skill on and off the saddle. His leadership shines thru on group rides where Rob makes sure everyone gets the most out of their workout. Rob has completed many sprint, Olympic and Half IronMan distance triathlons and continues to motivate all those who train with him. His enthusiasm is infectious and his compassion makes him a great coach.